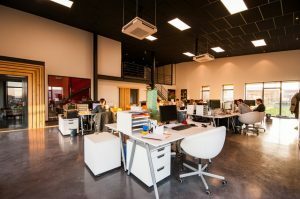 If your workplace is messy then it will not only look unpleasing but also affect the productivity of its staff. Some office organization tips and tricks are provided in their write-up to help you in keeping your office well organized. You must have some space to put the things you bring with you to your office like a wallet, purse, key, and phone, etc. to keep them safe and well organized. You should clean it up your desk by analyzing every item and discarding unwanted things. This will help remove clutter, clear space, and help you become more efficient. If you have a lot of files to get through, it is important you use a two tray system to keep your work organized. One tray will have your completed work, and the other tray can be your “need-to-do” tray. You can keep track of memos, apps, and projects by using digital calendars to note down reminders and to-do lists. This will eliminate any extra papers you have on your desk that can cause clutter. You can develop a charging station in your drawer or behind your monitor to charge your backup batteries, phone and headphones whenever required. This will eliminate cables and wires everywhere. You should also zip tie the wires tangling under your desk into a bundle to reduce your distraction. You can get rid of the pencils and pens accumulated in your drawer without any special effort just by tossing them into the trash can. You’d be surprised how much space you can clear from your drawers by getting rid of extra pens and pencils. Before you head out of your office you should sort al the papers on the desk to find out which are to be filed, scanned or shredded. Use these office organization tips and tricks to help you be more efficient at work. Decluttering your space is sure to improve your productivity levels.